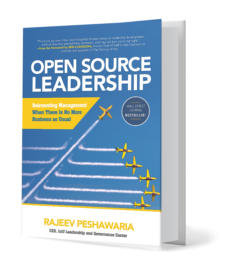 In a world where information, capital, talent, and only x-factor for sustainable business success is leadership. There are many misconceptions regarding leadership. Contrary to what many think, it is not at all based on one’s position of power. It deals more about how and what one creates while getting others to go beyond themselves and excel at things they never thought possible. Leadership comes after much self-discovery and cannot be taught. It is not something one is born with but is something that must be aspired for. 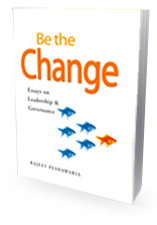 Be The Change goes deep into what a leader is and what you and your organization need to look into to foster genuine leadership. In particular, the book deals with the various aspects and issues of corporate governance, an integral part of the leadership journey. It also takes a look at the individual, the team, and then the organization for a progressive treatment on the various theatres where leadership can and does make a difference.